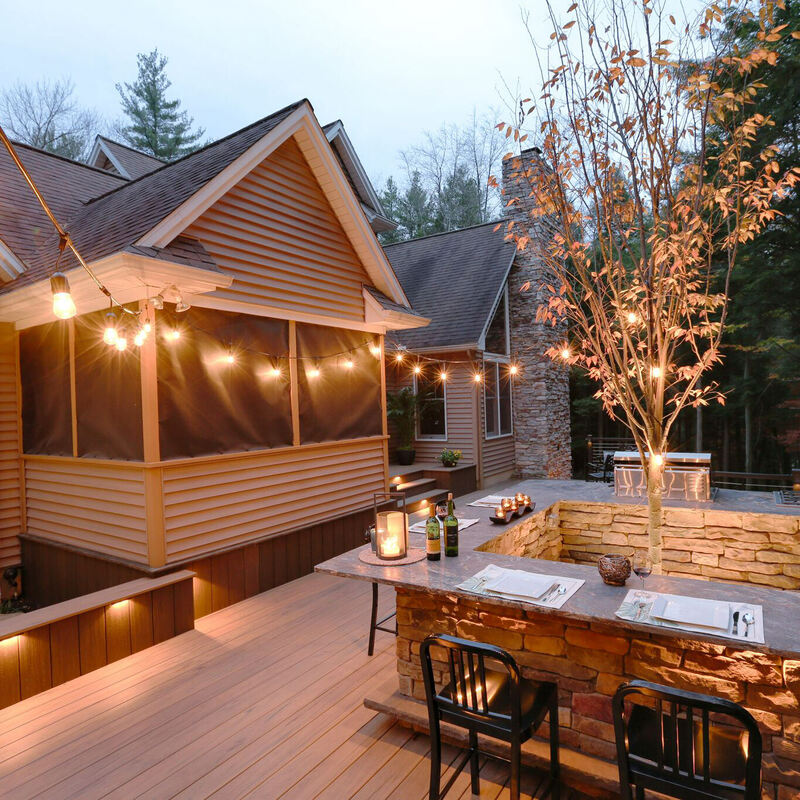 MasterPLAN believes in providing all site-possible outdoor living options to our clients in order to make the best decisions for their family, property and lifestyle. From design and feature options to material and colors choices, education is paramount. Through giving pros and cons of many different materials over the years, we have come across a few common paver misconceptions that we feel should be set straight. This week’s blog will focus on the misinformation of concrete pavers. While it is true that the initial investment of installing pavers is higher than other materials like poured concrete or possibly blacktop (in the example of a driveway), you will find that in the end, that extra investment has become the more cost effective and aesthetic option. 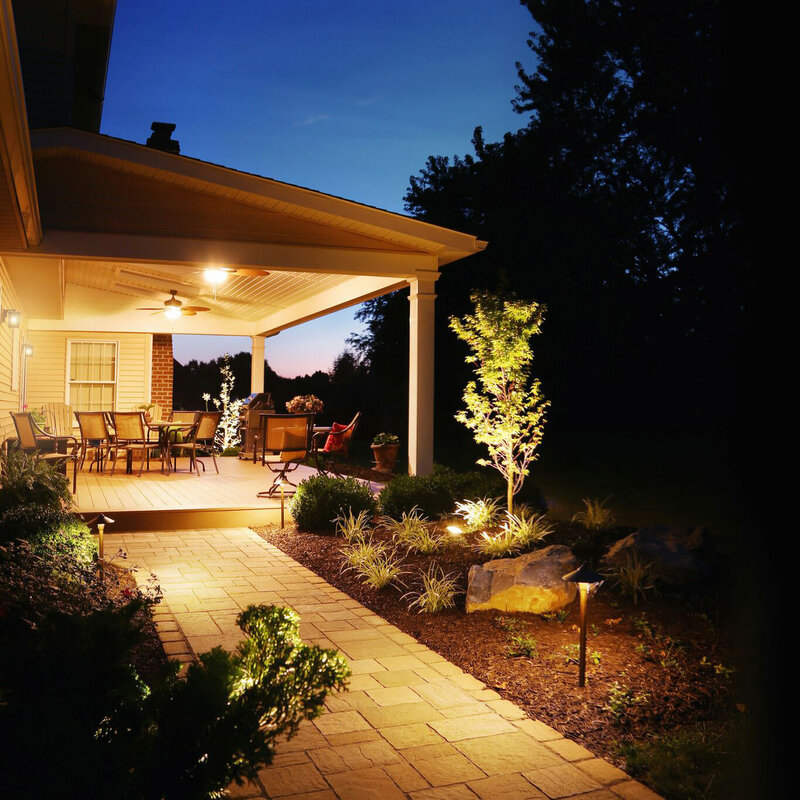 The attractiveness and durability of concrete pavers around your home will aid in boosting your home value and save money in repairs down the line. While blacktop may crumble and chip and poured concrete will crack not look nearly as attractive, concrete pavers need repair less frequently, repairs are easier, and you will be more satisfied with the overall look of your property. Some homeowners have expressed this belief as a legitimate concern in the past; if they were going to invest in this material, they want to make sure that a future repair won’t be an astronomically expensive or extensive event. 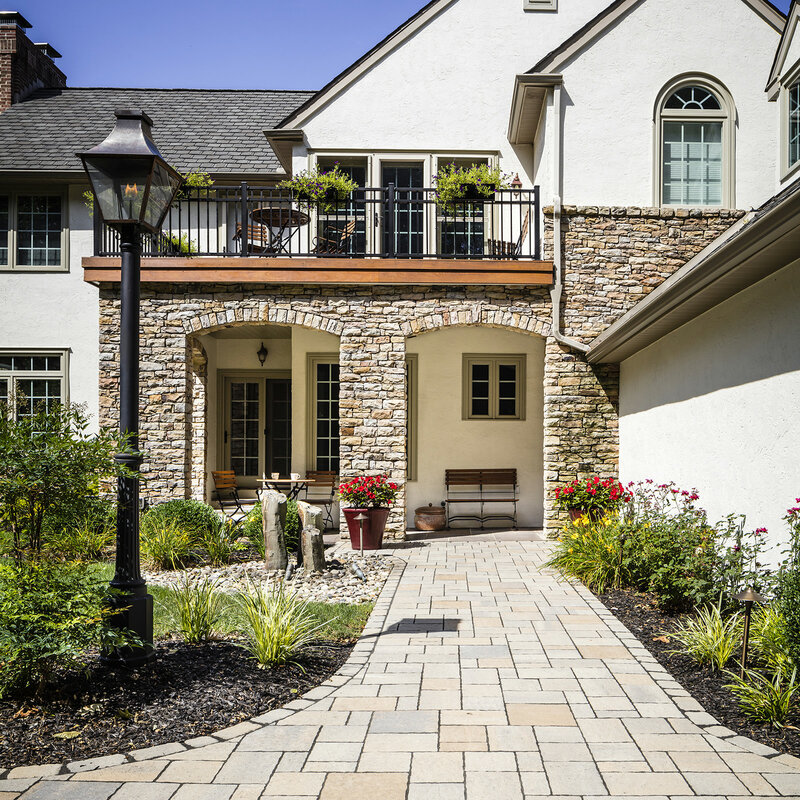 Unlike monolithic hardscapes that need to be repaired in entire sections or attempted to be matched and patched, pavers can be spot repaired (removed and replaced) by a professional or a handy homeowner. This reliable and resilient hardscape material absorbs pressure, weight and force differently than other hardscapes, so they are less susceptible to damage in the first place. The saying, “you get what you pay for” rings true in this situation. For the super-budget conscious homeowner that doesn’t see the benefit of selecting a quality paver, cheaper pavers are susceptible to fading, chipping, cracking…etc. Quality pavers, however, are colored throughout the thickness of the paver, so color fading is not a common issue and should look the same on day 1 as day 1000! The idea that pavers encourage weed growth is a persistent yet inaccurate misconception. 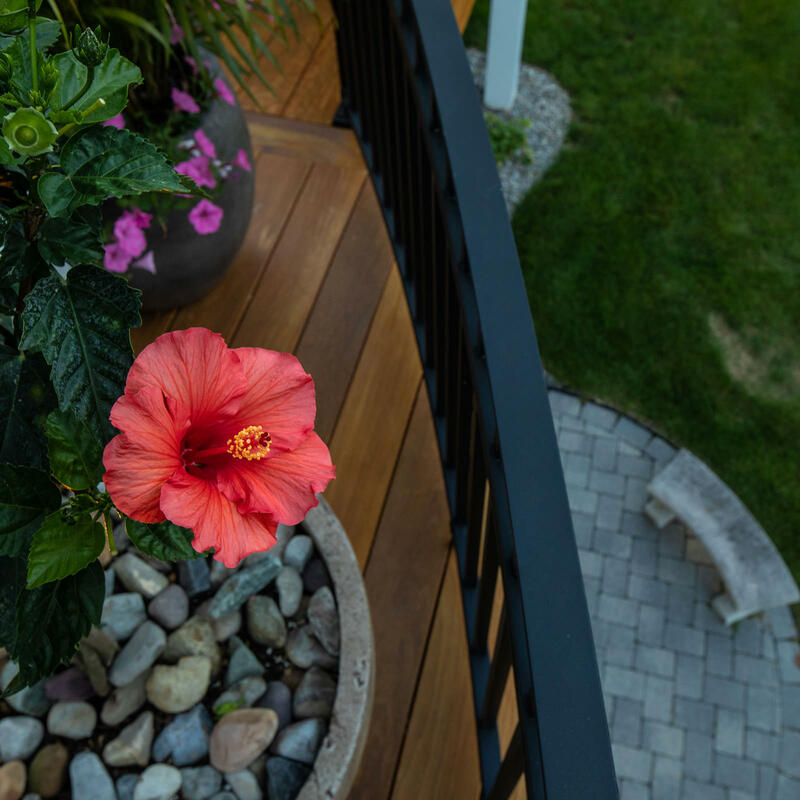 Any hardscape joint outdoors has the potential for weed growth, but you should not expect to experience any more weeds in a paver installation than you would with anything else. In fact, you should see less weeds with proper polymeric sand installed between the joints! More often than not the weeds thriving on a hardscape is the result of seeds falling on top of the pavers and germinating where they lay; if you are a homeowner that is concerned about weed growth, you can be proactive and clean and regularly use precision spray of all-natural weed killer on the joints. 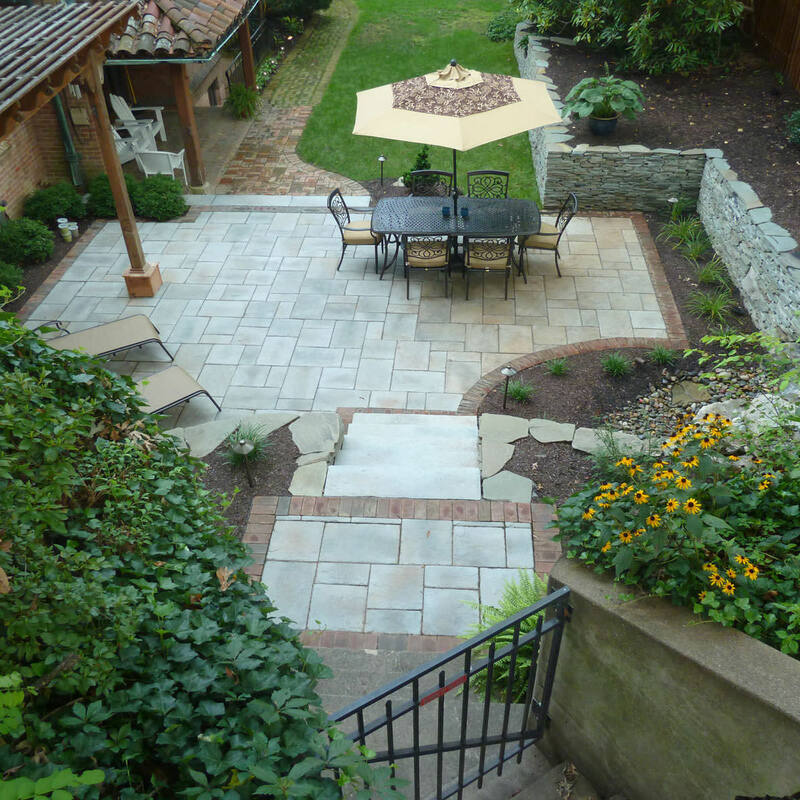 Pavers are known as a low maintenance material, but that does not mean they (or any outdoor material, for that matter) are 100% maintenance-free. We are steadfast when we say that only pavers that move or heave over time are ones that were not installed correctly. This is a prime complaint of homeowners who have seen or cut corners themselves, making it even more important to have a professional install the hardscape right the first time. 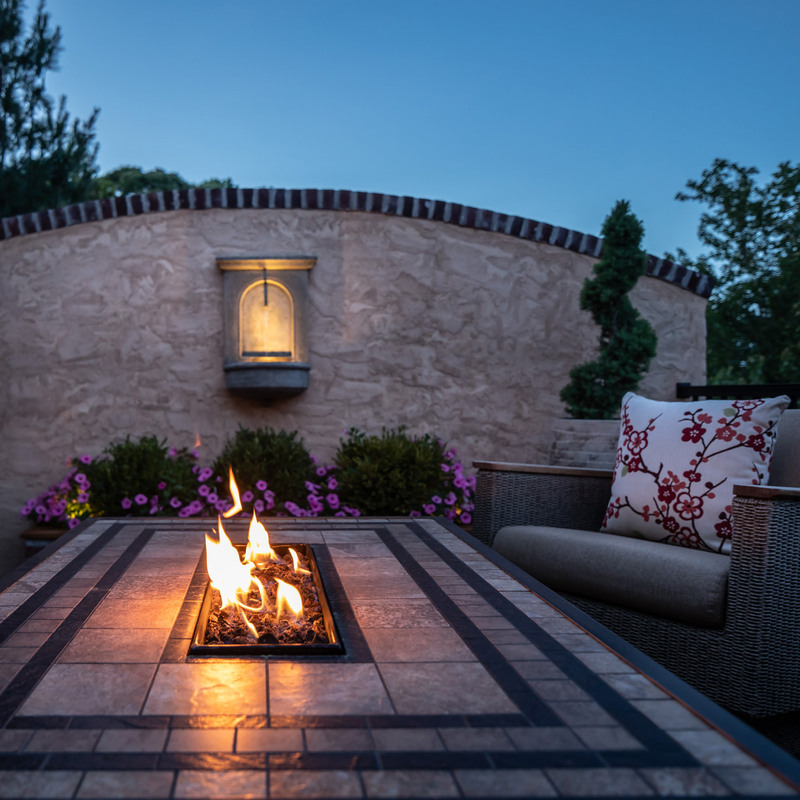 Installing a paver patio, walk or driveway requires specific installation preparation including excavation, grading, sub-base compaction, geotextile installation, base prep and compaction, sand prep, paver laying, bond beam prep, final compaction and sand installation. All of these steps ensure a properly installed hardscape that should not be directly affected by the freeze/thaw cycles in northeast Pennsylvania. So while it is true that anyone can install a paver hardscape, they should all follow the correct installation process to guarantee long-term success! 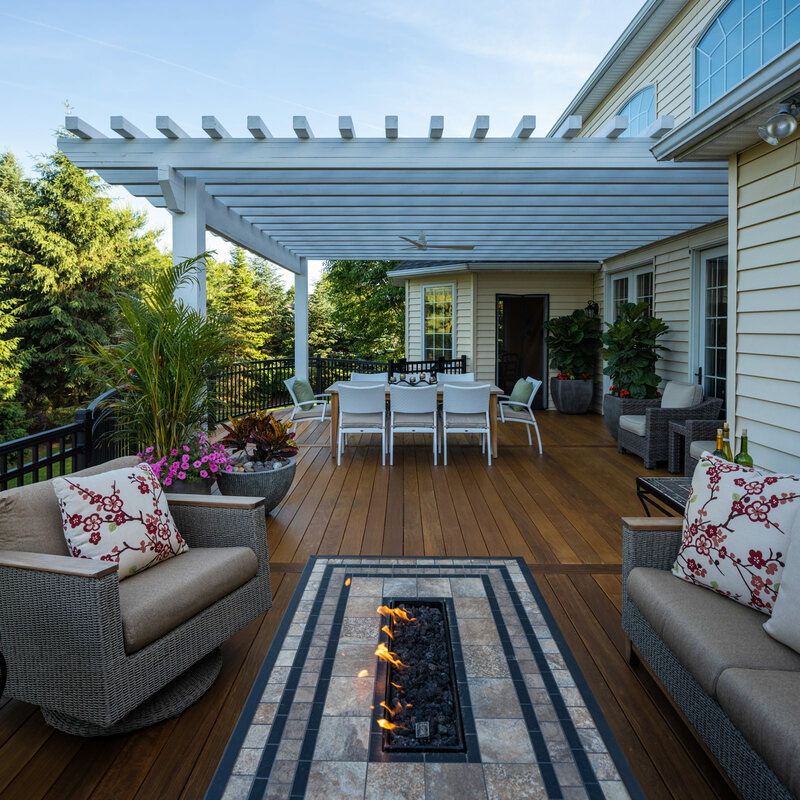 Hopefully debunking a few of these common paver misconceptions helps clear the air when it comes to considering pavers as a hardscape application for your property. 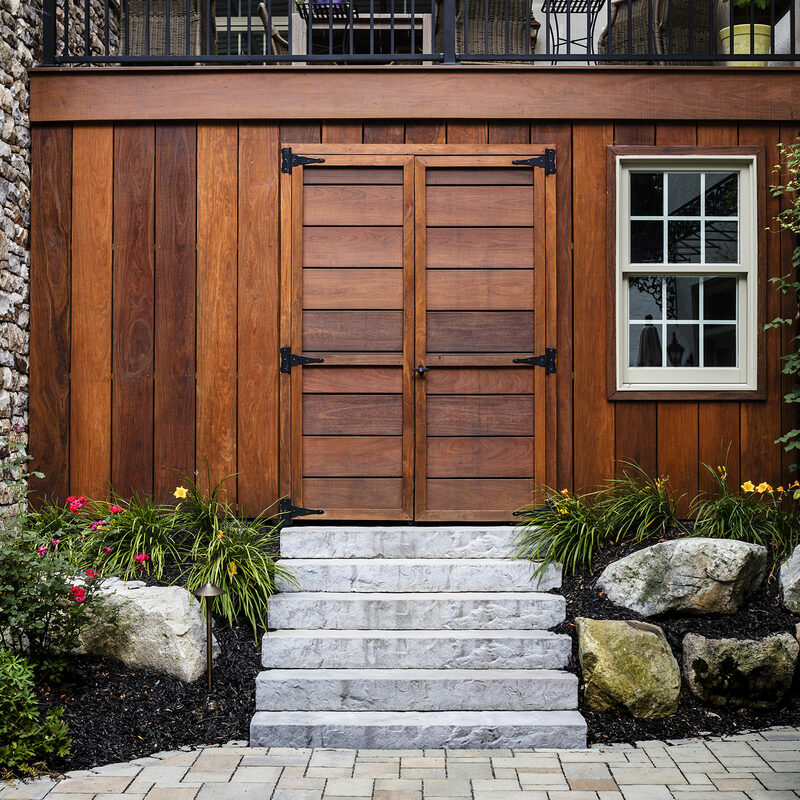 Versatile, durable, reliable and beautiful are just a few adjectives that can be used when describing this hardscape option, and perhaps it is the right material for your own project! 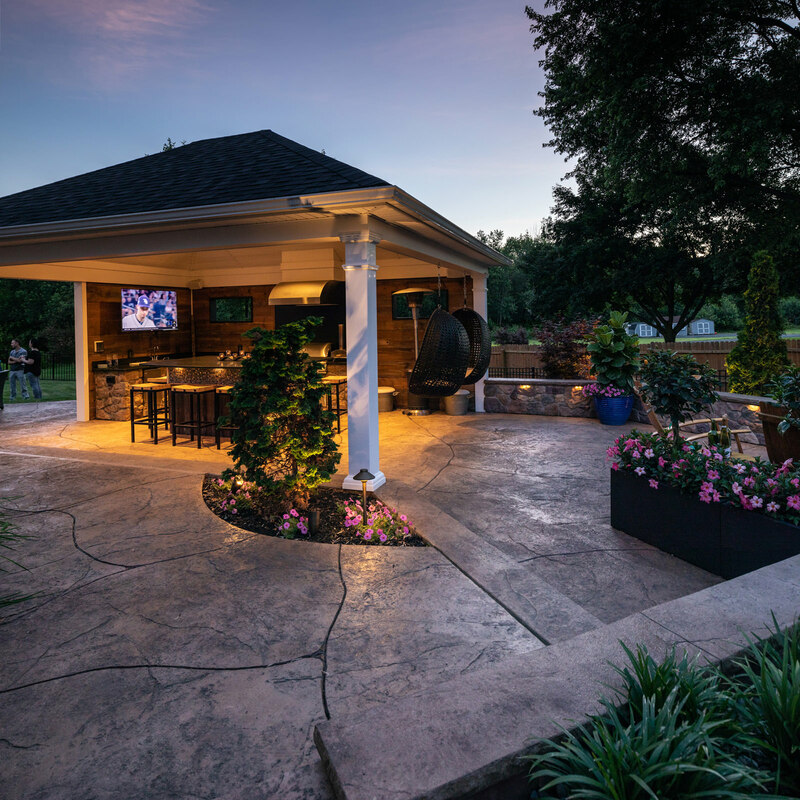 MasterPLAN Outdoor Living is an open book when it comes to weighing out all pros and cons for our clients and their outdoor living spaces. Full transparency and education nurtures a strong and trusting relationship with our clients, and we value a partnership based on trust and mutual respect! 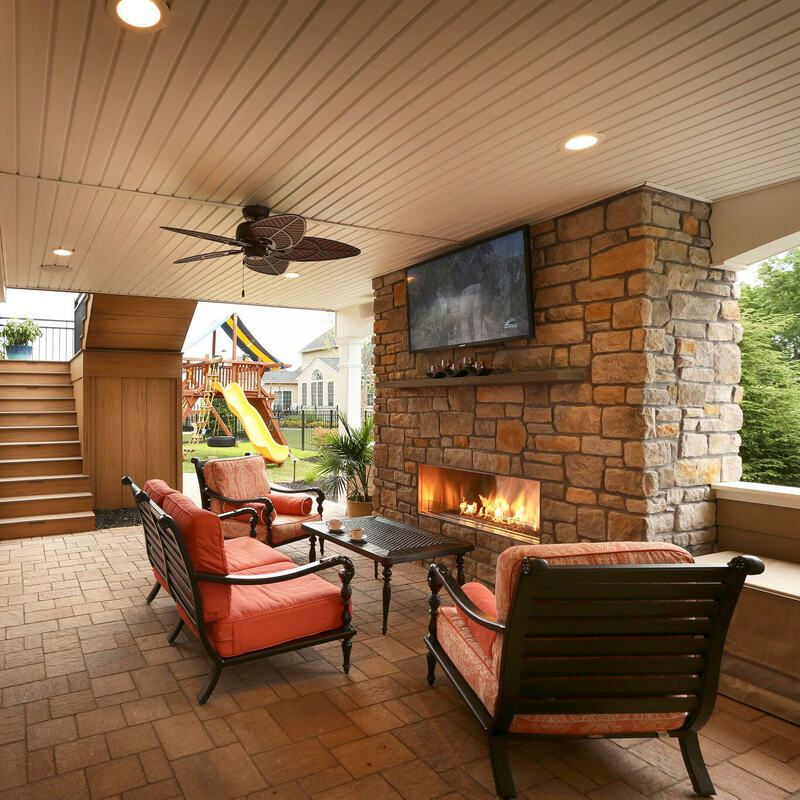 For those living in the Poconos, Lehigh Valley, through the Main Line of Philadelphia and western New Jersey who are excited to explore all options for their own backyard transformations, reach out to MasterPLAN! We would love to discover the true potential for your property that creatively fits your family and your lifestyle. When you are ready to open a conversation, we are ready to chat and welcome you into the MasterPLAN family.